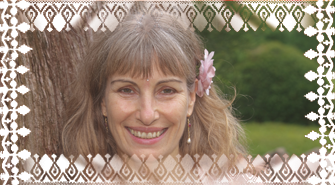 Mahasatvaa Sarita shares a mystical transmission she has imbibed and integrated from various Masters since 1973. She spent 17 years in Osho’s physical presence, drinking the nectar of Tantra and meditation. She studied the esoteric and practical science of healing through Colour and Light with Peter Mandel for 7 years. And she learned the subtleties of the meeting of quantum physics and spirituality through her 9 year apprenticeship with Dr. David Wagner, the inventor of Tachyon Technologies. Over a period of 18 years Sarita was taught the Japanese method of Ito Thermie as well as Natsukashi, (coming back home to the original face,) by Kohrogi Sensei, an awakened Japanese Master. Sarita passed through the mystic portal into universal consciousness through the grace of Uezusan, a Japanese Healer and spiritual teacher, and subsequently taught a series of transformational workshops with him. Her deep and enlightening experience with all of these Masters has led her to the space of Maitreya, a word coined by Gautama the Buddha, meaning the ‘Spiritual Friend’. In her role of spiritual friend and mystic, Sarita offers coaching, initiation into Osho Sannyas and Osho Energy Darshan, (for those who are called to this path) Hands on Energy work, Inspirational Spiritual discourses, Satsang Meditation, Introduction into Meditation and Meditation Retreats.